30. 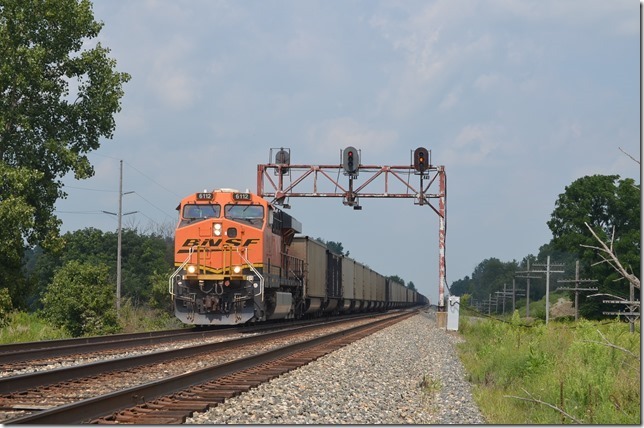 Next comes BNSF 6112 on empty train N912-13 (West Olive, MI to Toms Fork, WV) with 100 FSTX, CPOX, NSTX, CEFX. JSCX and PSTX aluminum cars. 31. Next comes BNSF 6112 on empty train N912-13. View 2. 32. That’s the Meredith grain elevator in the distance. 33. N912-13 is stopped at RW Cabin (EE double track) in distance. We walk back to the car and advance on west to Meredith. 34. Looking east at Meredith. 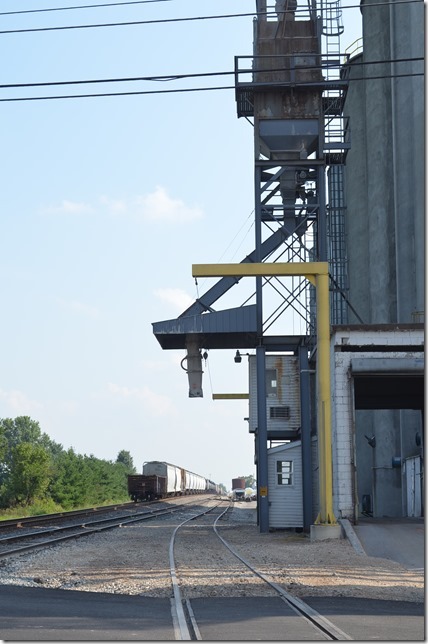 The grain elevator does not receive rail service. 35. Looking west at the WEDT. 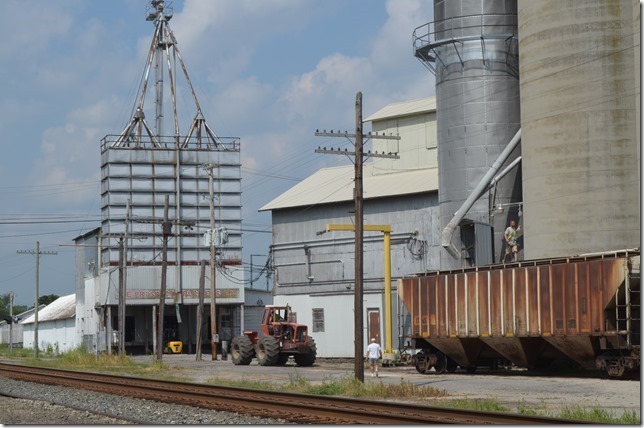 Double track begins again at Owens, MP 40.6. 36. 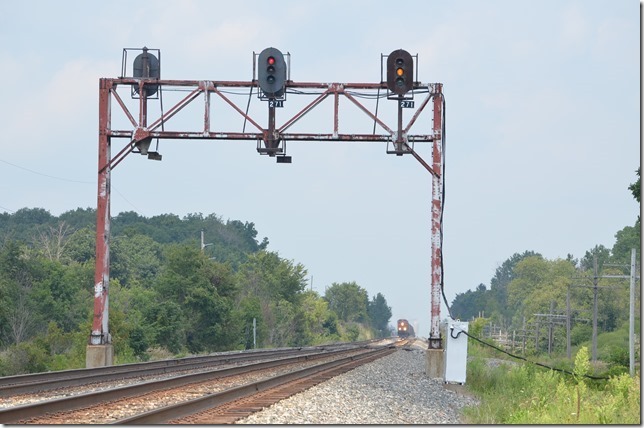 Clear signal for a westbound. 37. 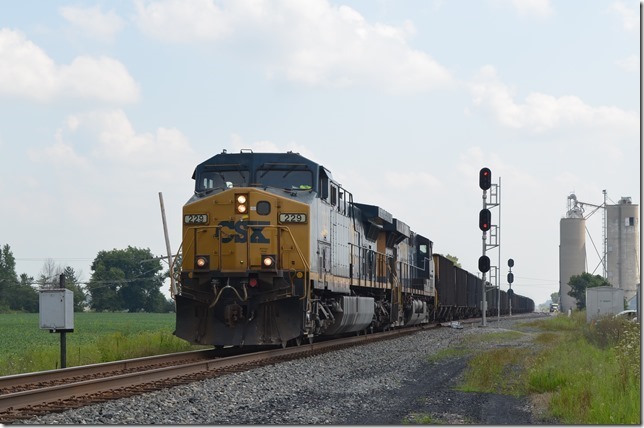 CSX 229-53 with w/b N912-13 (Spurlock Mine near Martin, KY to Indiana Harbor Belt). 38. 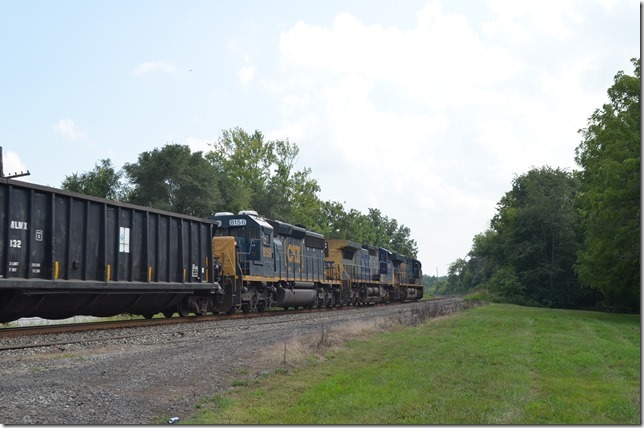 Metallurgical coal in CSX and a few HLCX hoppers. 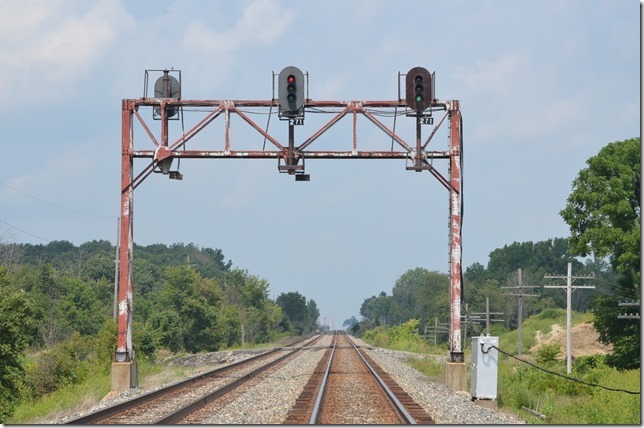 Columbus SD mile posts were measured from Columbus Union Station. 39. 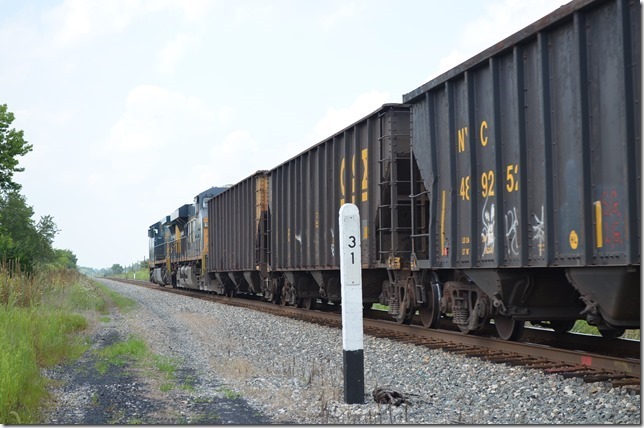 Metallurgical coal in CSX and a few HLCX hoppers. View 2. 40. 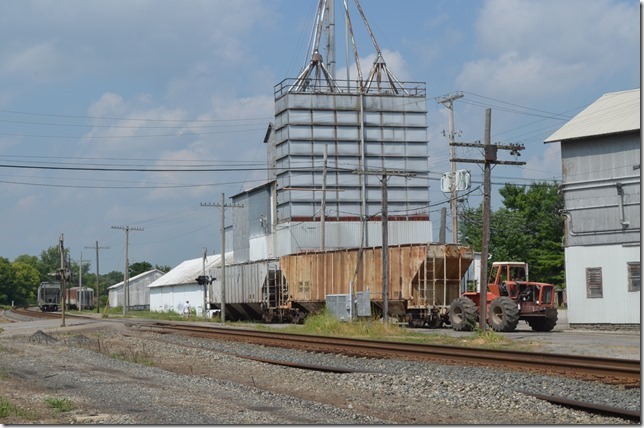 Spotting covered hoppers for loading at Prospect. 41. 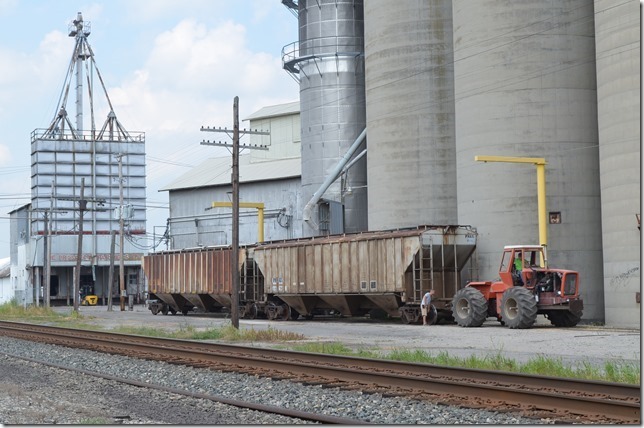 Spotting covered hoppers for loading at Prospect. View 2. 42. 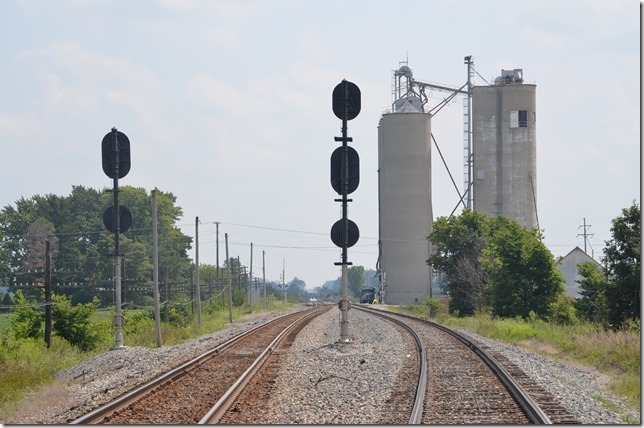 Spotting covered hoppers for loading at Prospect. View 3. 43. 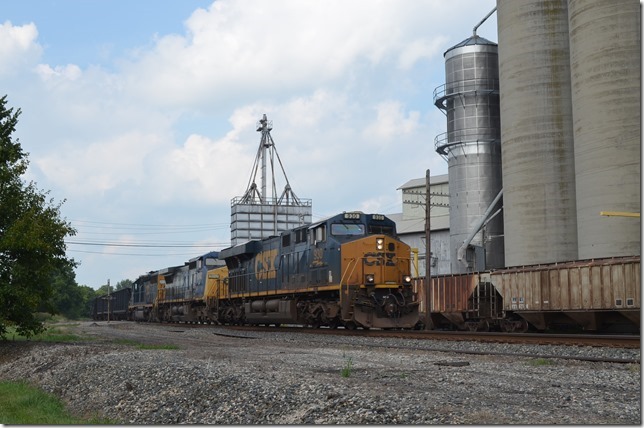 CSX 930-9042-8156 on e/b freight Q385-17 (Selkirk Yard, NY to Columbus) with 8 cars. 44. 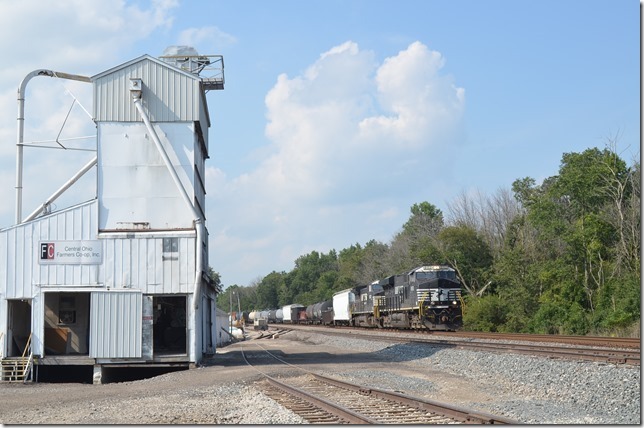 CSX 930-9042-8156 on e/b freight Q385-17. View 2. 45. 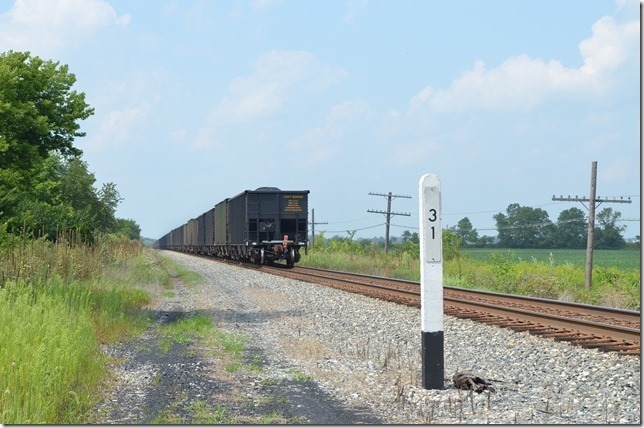 CSX 930-9042-8156 on e/b freight Q385-17. View 3. 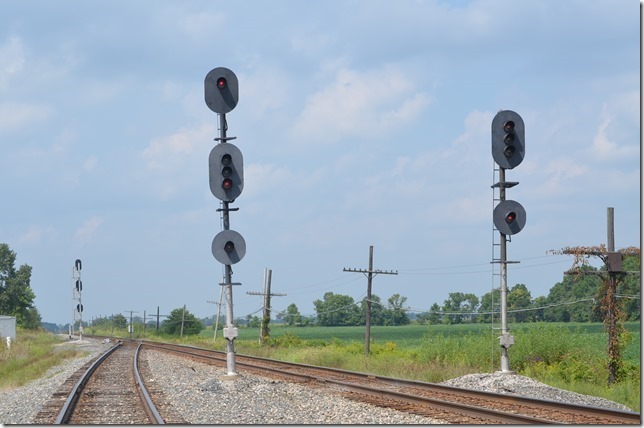 After checking the signals at South Marion, we decided it was time to head back for the evening’s activities at the convention. 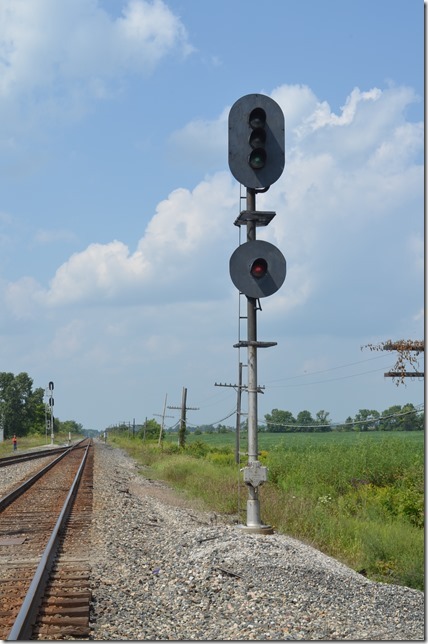 The NS Sandusky District signals were green for an eastbound, and we heard No. 188 on the scanner. We raced south to Waldo barely beating the speeding 188. 46. NS 8152-8333 on e/b No. 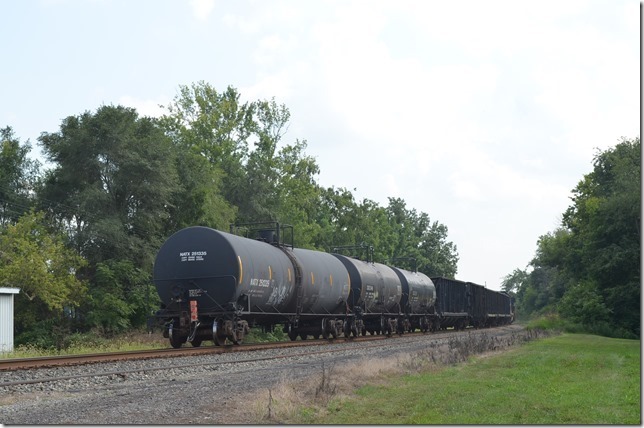 188-19 (Bellevue Yard, OH to Crewe, VA) with 53 loads and 38 empties. 47. NS 8152-8333 on e/b No. 188-19. View 2. We headed the short distance back to the hotel in Dublin. 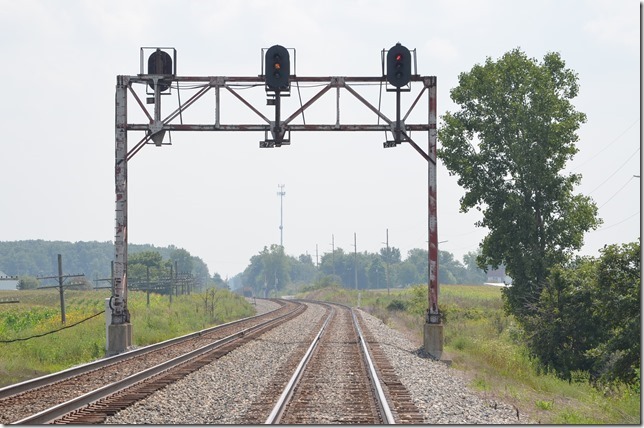 We were quite pleased to have shot eight trains on CSX and two on parallel NS.